If you don't know Vancouver's Vikram Vij, you are very vvvvv…. I ran out of V-words. What I'm trying to say is the Vikram‘s food is amazing. I actually feel like my vocabulary is unable to describe to you the experience that your mouth and senses are in for with this recipe. 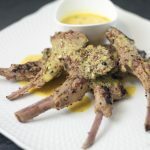 This is a paleo-ized adaptation of Vij's Marinated Lamb Popsicles with Fenugreek Cream Curry (found in Vij's: Elegant and Inspired Indian Cuisine). Much like our Paleo Butter Chicken recipe, you're going to want to use whatever you can as a vehicle for this sauce to get into your mouth. Riced cauliflower was the vehicle we chose today, but I will be using the leftovers on anything I can find. Instant Pot has recently come out with a new product: a ACCU SV800 Sous Vide Immersion Circulator. What's a sous vide and why do you need to know about it? The quick answer is that it's a device that allows you to cook things perfectly. 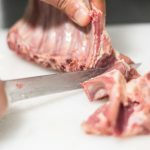 To learn more, check out these quick highlights that I put together: How to Sous Vide (Sous Vide for Dummies). In summary, sous vide cooking can create perfection. Holley said, “This lamb is perfectly cooked. I will only make lamb with a sous vide from now on”. 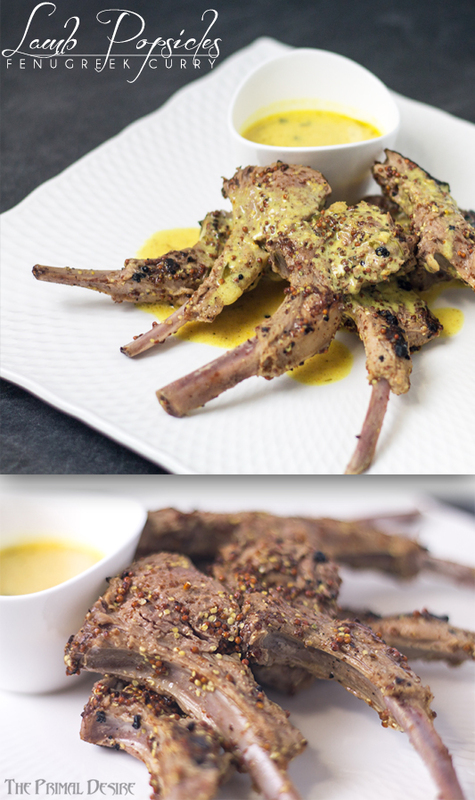 Paleo Lamb Popsicles with Fenugreek Cream Curry is amazing even without the sous vide. Bon appetite! 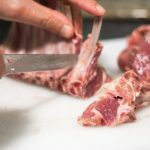 Combine ingredients for lamb in a large freezer bag, shaking to mix. Add lamb chops to bag, seal, and massage mixture into meat (vacuum seal if you can. I just used a zip-lock bag and squeezed the excess air out). Allow to marinate for 1-2 hours prior to cooking. 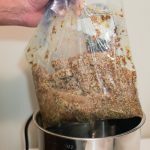 In a large pot (or Instant Pot liner) fill with enough water to cover lamb bag – making sure that water level is within Min-Max levels of the Accu Sous Vide. Program sous vide for 136 F for 2 hours for the perfect medium-rare lamb. When the lamb is cooked, preheat cast iron pan on high. Caramelize the outside of the lamb by cooking each side briefly on each side, flipping with tongs. Stir coconut milk, paprika, salt, cayenne, lemon juice, and fenugreek leaves together in a large bowl. 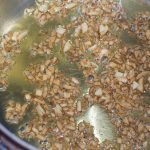 Heat ghee over medium heat in a saucepan and saute garlic until golden brown. Add turmeric and continue to heat for another minute. Add cream mixture, cooking for 5 minutes or until boiling gently. 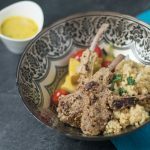 Serve lamb popsicles with fenugreek cream sauce over riced cauliflower. Combine ingredients for lamb in a large freezer bag or bowl, and mix well. Add lamb chops to bag, seal, and massage mixture into meat. Allow to marinate for 2-4 hours in the refrigerator prior to cooking. Preheat cast iron pan or BBQ with high heat. 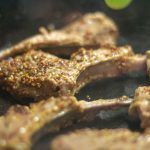 Cook the lamb chops 2-3 minutes on each side, caramelizing the outside – flip with tongs. I would have never thought to use fenugreek that way! I love curry just about anything – thank you! Love this! 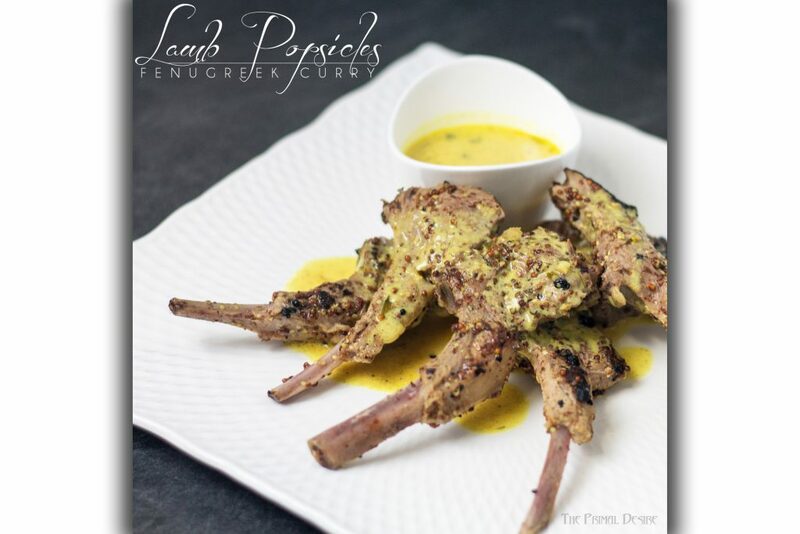 Lamb and curry is one of the best combinations out there! Love it. Tell me about it. Curried lamb is THE dish I request when I go to my parent’s place. Wow! 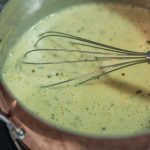 Fenugreek curry sauce!!! That sounds amazing! I LOVE the flavor of fenugreek but never think to use it. Yum! 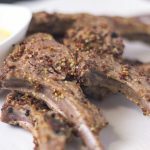 I love all lamb recipes, and this looks so good. And looks like I need to upgrade my Instant Pot because I want to start sous-videing (is that a word?)! Well, this little ACCU Vide can be used in any big pot or container, but word on the street is that one or more of the new Instant Pot designs will allow for a type of sous videing (pretty sure it IS a word. At least it is here and now), minus the water movement. Ok, I need sous vide! Love that cream sauce Raj! Yum! 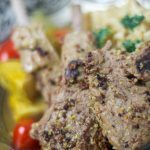 These lamb popsicles look amazing and so flavorful! This lamb dish looks so tasty! 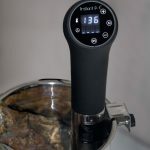 I have always wanted to try sous vide! These looks fantastic, and that fenugreek creamy curry sounds like it would be good on everything! This is such an interesting recipe ! I can’t wait to try it !! Woah! 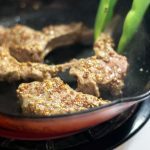 I’d never used a sous-vide before either, but after this recipe and seeing your review of how easy it is…I may have to bite the bullet and just do it, ha! Yes! Lamb popsicles are the best kind of popsicles!